It was 2011 when Virgin Travel first declared Amsterdam the friendliest city in the world for bicyclists, but the city was designated as the cycling capital of the world years before. There are many beautiful cities that bicyclists look forward to exploring, so what makes Amsterdam the number one place for those traveling on two wheels? There are many factors that put this city in the lead even with many beautiful cities around the world competing for the title. The streets of Amsterdam are quite narrow compared to the roadways found in other parts of the world. Since it is difficult to maneuver even smaller vehicles through those narrow streets, many people living in this city prefer bicycles to other forms of transportation. 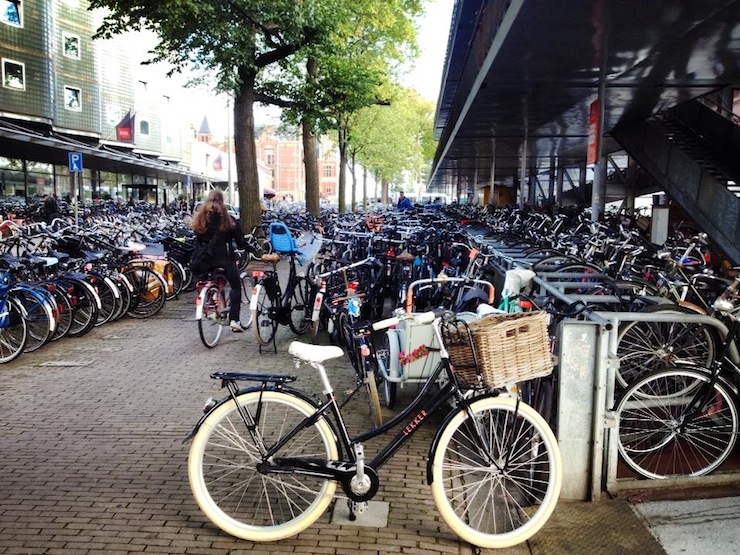 There are trains and other options, but you will still see far more bicycles on Amsterdam roads than you would see on roads in most other areas of the world. Many people who live in Amsterdam see bike riding as an essential component of their lifestyle. They appreciate that biking keeps their bodies healthy and slim while contributing to a healthier community overall. 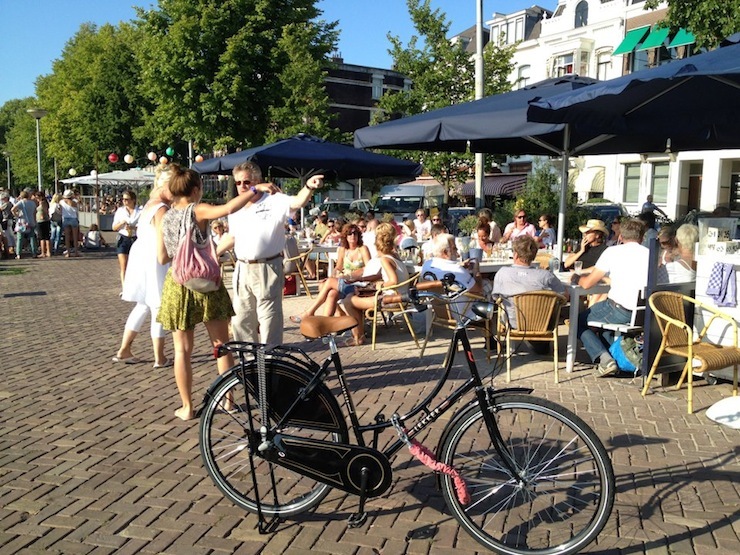 Amsterdam residents also enjoy visiting pubs for social interaction, so many appreciate that they can safely bike home without concerns of drunk driving. While health is important to most Amsterdam residents, the health of the environment is important to many as well. The city government places an emphasis on building more sustainable and green structures, and that includes an official plan to change construction policies for all buildings by 2015. Since bike riding is healthier for the environment than travel by motored vehicles, bicyclists are supported through Amsterdam government policies. While motorists may rule the roads and take priority in many big cities, it is the other way around most of the time in Amsterdam. From a government perspective, it is also cheaper to maintain the roads for bikers than it is to develop wider and more intricate roadways for motored vehicles. The cycling routes offered throughout the city are extensive because the government recognizes the heavy bike traffic flowing through the city. Bike lanes and routes are not a priority in many large cities around the world, so Amserdam stands out in this capacity. Amsterdam is relatively flat and smooth, so there aren’t many challenging mountains or hills to combat when you pedal off to work or the store. Even though the climate brings more rain than some competing cities may experience, the terrain is much easier to maneuver for most bicyclists. Of course, that means adventure cyclists who want to take on mountains must venture out of the city to get the thrills they seek. Bicycling is simply part of the lifestyle in Amsterdam. That is difficult for any other city in the world to compete with, even as more and more large cities invest in bike lanes and recreational trails for fitness riding. Until other areas of the world fully embrace the health benefits and practical advantages of bicycling, Amsterdam will remain the world’s biking capital. 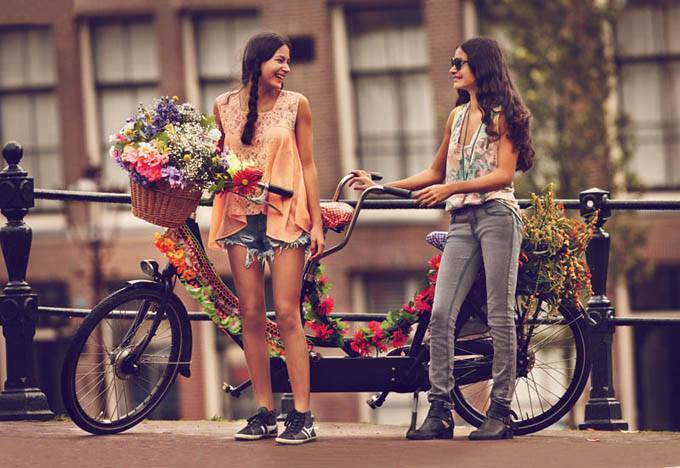 The vintage bikes that are quintessentially Dutch are some of the most prominent and popular in Amsterdam. LEKKER have taken elements of this style and added the Australian sense of beach culture to create a comfortable, stylish, and high quality bike.